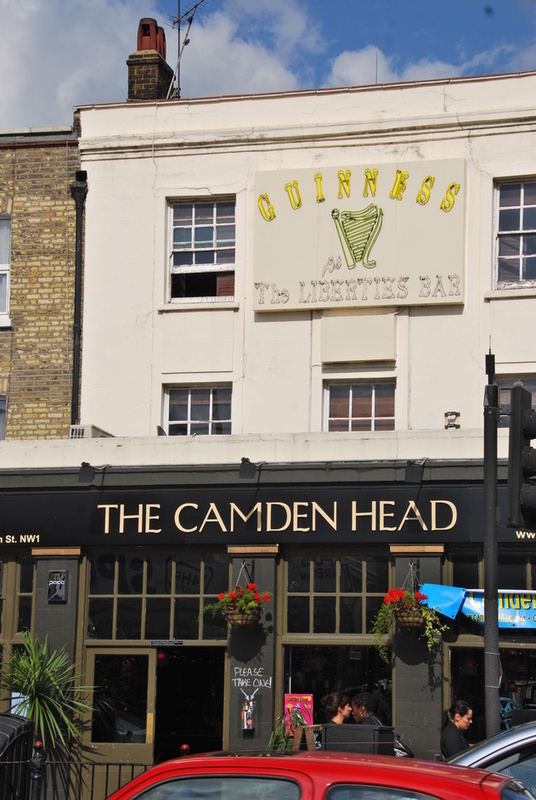 Formerly Liberties Bar, The Camden Head is one of Camden's oldest boozers - and not to be confused with Islington's pub of the same name. A stone's throw from Camden's bustling markets, the pub has undergone dramatic changes of late including a redecorated bar, the introduction of a pool table and a new bar menu at affordable prices (a £5 lunch menu or specials from £7-£9 - bargain). An upstairs function room doubles up as a venue for comedy, live music and spoken word events. Friday and Saturday nights welcome DJs in the main bar area who make the most of the pub's new sound system. It's pretty much got it all at this versatile North London pub, which blends tradition with up-to-date trends and events. A new series of stand-up shows from the people behind critically acclaimed The Rat Pack stand-up comedy. The stand-ups due to appear on the night are Cally Beaton, Richard Todd, Luca Cupani, Lenny Sherman and Alasdair Beckett King, plus the MC Ivor Dembina. New material from the Brighton-based stand-up, plus supporting artists. Top stand-up from established comedians, hosted by Jake Howie and Ryan Dalton. Star of BBC Radio 4's Sketchorama and 2016 Leicester Square Theatre Sketch Off winner, character comedian Bryony Twydle, hosts a night with a selection of her comedy pals. A selection of six acts perform stand-up and poetry. The Buxton Fringe Best Show winner and Malcolm Hardee Award nominee marks the 25th anniversary of The Shawshank Redemption, by sharing his own story of being trapped and how he escaped, set to the film's soundtrack. Nick Elleray, Josh Robertson, Don Biswas and Russell Hicks hit the stage with their stand-up routines, watched over by MC Ivor Dembina. What are the best dining options near The Camden Head London? The Camden Head gyms, sporting activities, health & beauty and fitness. The Camden Head clubs, bars, cabaret nights, casinos and interesting nightlife. Where to have your meeting, conference, exhibition, private dining or training course near The Camden Head. From cheap budget hotels to luxury 5 star suites see our discounts for The Camden Head hotels, including Holiday Inn Camden Lock Hotel from 80% off.